My retirement portfolio currently consists of two mutual funds. Is that enough? Or do I need more funds to be properly diversified --E.F. 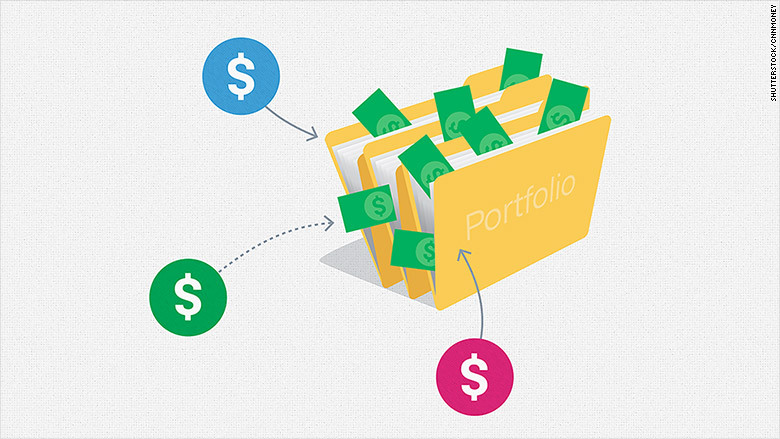 When it comes to building a diversified portfolio for retirement -- or any other goal -- the issue isn't so much the number of funds. It's the type of funds you own and the breadth of securities they hold. So, for example, you can have a reasonably well-balanced portfolio that meets your needs with just a couple of funds -- say, a total U.S. stock market index fund and a total U.S. bond market index fund. Or for that matter you could even get by with one: a target-date retirement fund. So rather than shooting for a specific number of funds, your goal should be to create a portfolio that gives you broad access to the stock market but also includes bonds that can provide some ballast if the market goes down. (You'll also want to keep some money in cash for emergencies while you're saving for retirement and as a reserve for ready spending cash during retirement so you don't have to dip into your assets during severe market downturns.) The aim is create a mix of stocks and bonds that can generate returns high enough to grow your retirement savings and ensure that your money can support you throughout retirement but without taking on so much risk that you'll end up selling in a panic during inevitable market setbacks. The first step is gauge your tolerance for risk. Generally, the younger you are and the more comfortable you are seeing the value of your portfolio bounce around in response to market fluctuations, the higher the percentage of your portfolio you should be willing to devote to stocks. So, for example, someone in his 20s or 30s, might have upwards of 70%, 80% or even 90% of his portfolio invested in stocks. Conversely, as you get older, protecting the wealth you've managed to create typically becomes a larger concern, which argues for scaling back on stocks and tilting your mix toward bonds. So someone just entering retirement might have anywhere from, say, 40% to 60% in stocks. That said, there's no single "ideal" stocks-bonds mix that I or anyone else can recommend. A portfolio that may be perfectly acceptable for one 20-year-old may be far too racy -- or too cautious -- for another. The same goes for retirees. Once you've decided how to divvy up your assets, you can focus on which (and how many) funds you should own. My suggestion: Keep it simple and focus on broadly diversified low-cost index funds or ETFs. So, for example, if you've got $100,000 to invest and you're aiming for a mix of 60% stocks and 40% bonds, investing $60,000 in a total U.S. stock index fund and $40,000 in a total U.S. bond index fund would give you a portfolio with exposure to virtually the entire U.S. stock and taxable investment-grade bond markets. If you went no further, I think you'd be fine. But you can easily diversify even further by adding a total international stock index fund and a total international bond index fund to your holdings. Investing pros can and do disagree about how large a place international funds should play in U.S. investors' portfolios, but I'd say an international stake of, say, 15% to 30% of assets is reasonable. But whether you end up putting together a portfolio on your own or with the help of a pro, remember: Your aim is to build a broadly diversified portfolio that can get you the returns you need without exceeding your tolerance for risk. And the fewer funds you can use to achieve that goal, generally the better off you'll be.